WARSAW–When Britons voted 52% to 48% in their June referendum to withdraw from the European Union, alarm bells went off across the continent. Individual Europeans, experienced surprise, shock, relief, anger, joy or fear depending on their personal views and circumstances. In practical terms, Brexit appears likely to impact Poland in several ways. EU economic assistance appears likely to decline. Our ancestral homeland has been the largest single beneficiary of EU financial aid, and Britain was one of the top contributors. 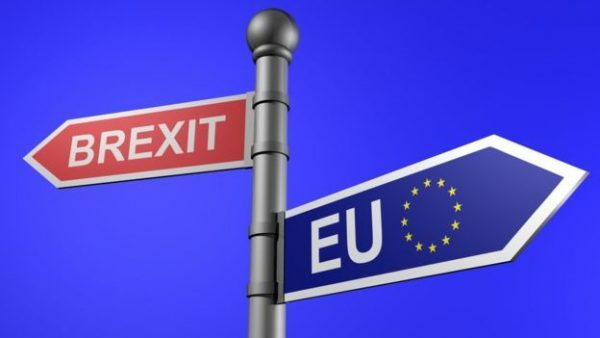 There is also concern over the fate of an estimated one million Polish migrants now in the United Kingdom and how Brexit will affect its future immigration policies. Britain was also a close EU ally of Poland supporting many of Warsaw’s conservative nation-first policies. Leftists and liberals tend to favor a “Brussels first and foremost” approach, Brussels being the seat of EU administration. When the Brexit vote was announced, an instant gut reaction was noted on both sides of the divide. Scotland indicated it might leave the UK in order to remain in the EU, and militantly anti-Catholic Northern Ireland was rumored to be considering the unthinkable – joining the Republic of Ireland to retain its EU membership. But Brexit has also bolstered patriotic anti-EU sentiment in other countries, referred to as “populist” tendencies by advocates of the “strong Brussels” option. Referendums on whether to leave the EU may be held in such countries as France, Holland, Italy, Austria, Finland, Hungary, Portugal, and Slovakia. The Brexit vote only marked the start of a long process. British Prime Minister, who had lobbied to remain in the bloc, said he would resign in October and let his successor negotiate the withdrawal procedures with the EU. That process is expected to take at least two years, probably much longer. Meanwhile, the EU’s future is being hotly debated across the continent. France and Germany have unveiled a ready blueprint for EU reforms: closer integration. To them that means individual countries would lose their right to have their own army, tax system, central bank and independent foreign policy. Member states would also lose their remaining control over their own borders, including the procedure for admitting and relocating refugees. Although those are just proposals for the time being, the EU is already trying to impose refugee quotas and fine countries €250,000 (over $274,000) for each migrant they refuse to accept. A recent survey showed that 83% of Poles wish to remain in the EU, but most do not want a Brussels-ruled super-state like that being proposed by Berlin and Paris. Most also prefer to stick to the złoty rather than switch to the euro, the bloc’s common currency. Poland’s ruling Law and Justice party also favors EU reforms but in the direction of a voluntary alliance of sovereign national states, one that pursues commonly agreed projects and promotes common interests approved by the individual nations. The government wants an EU responsive to the needs of its members, not one where Brussels’ eurocrats arbitrarily impose their will on bloc participants, pressure and intimidate individual countries and interfere in their internal affairs.